Assoc. Prof. Agus Harjoko, Ph. 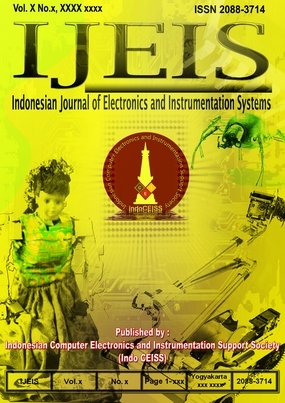 D.
Indonesian Journal of Electronics and Instrumentation Systems (IJEIS), a two times annually provides a forum for the full range of scholarly study. IJEIS scope encompasses all aspects of Electronics, Instrumentation and Control. IJEIS is covering all aspects of Electronics and Instrumentation including Electronics and Instrumentation Engineering. 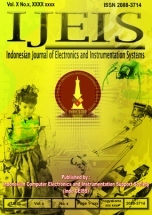 The journal publishes original research papers, short communications, and review articles both written in Engish or Bahasa Indonesia. The paper published in this journal implies that the work described has not been, and will not be published elsewhere, except in abstract, as part of a lecture, review or academic thesis. Paper may be written in English or Indonesian, however paper in English is preferred. IJEIS is published two times annually, April and October.